On our way to Portland, Maine to visit friends, we stopped in Rye, New Hampshire to snag a rare bird. 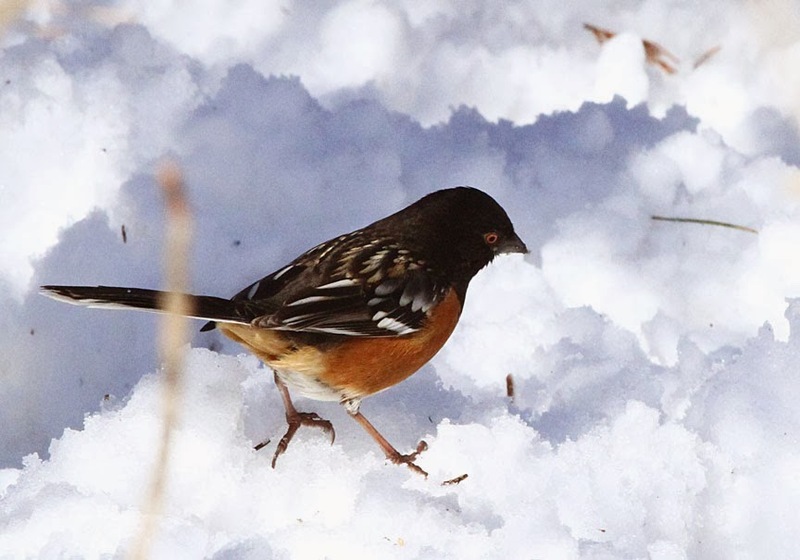 Somehow this spotted towhee veered right instead of left and ended up on the east coast. 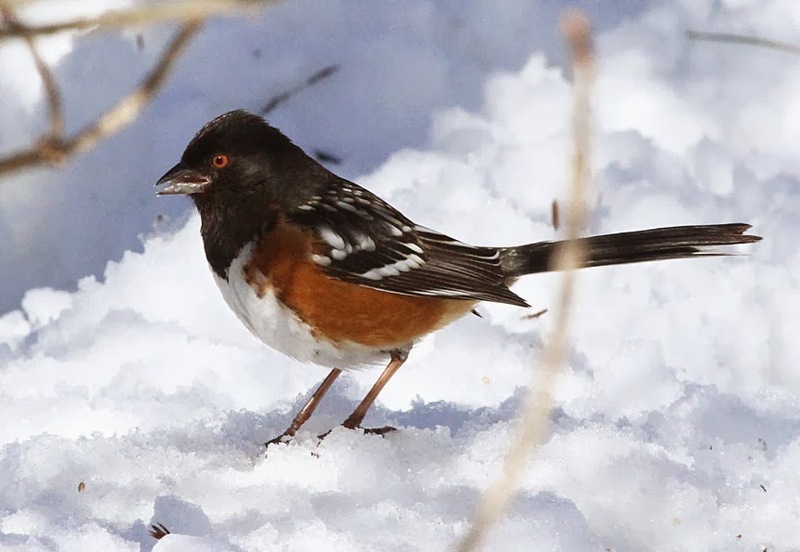 Related to our Eastern Towhee (they were previously considered one species), this bird is usually found west of the Mississippi. In Rye since at least the end of January, he was in the thicket scraping the ground for seeds in typical towhee fashion on the corner of Rte 1A and Central Road. On to Portland and out birding with our friends Ron and Chuck. A stop at Kettle Cove in Cape Elizabeth gave us our first-of-the-year views of purple sandpipers. 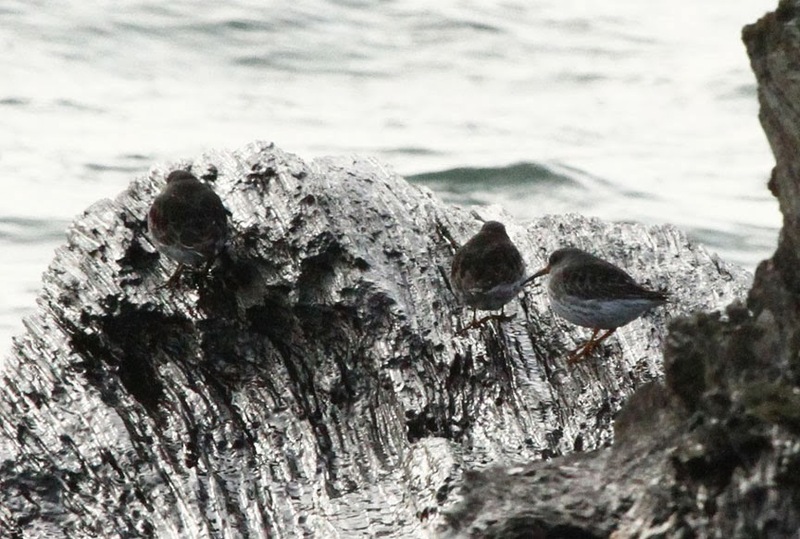 These hardy shorebirds winter along the rocky coast and usually found on the rocks. 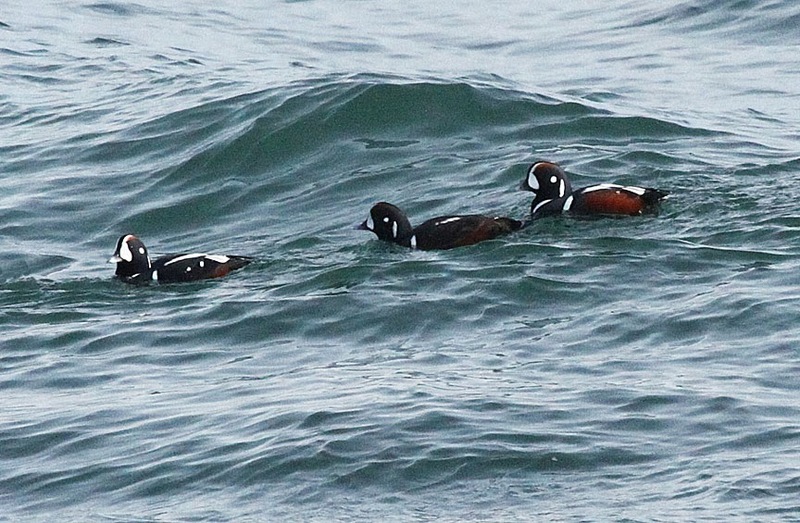 Another bird found along the rocky coast of Maine, is the harlequin duck. 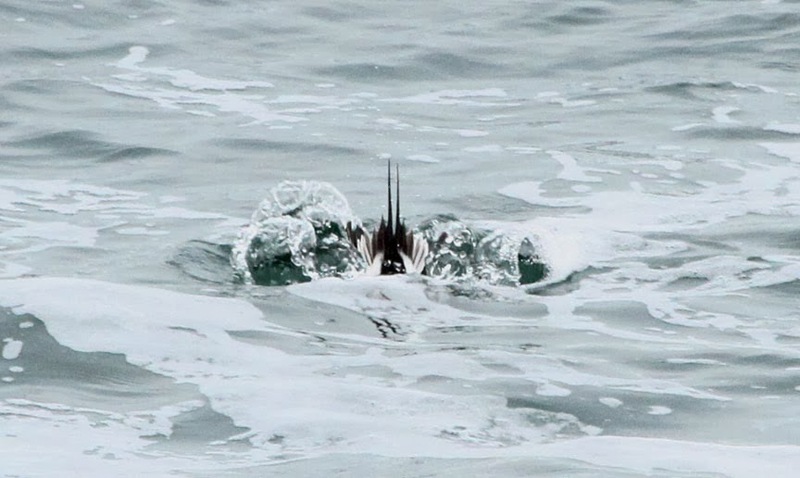 Harlequins have smooth, densely packed feathers that trap a lot of air, vital for insulating such small bodies against the chilly waters. It also makes them exceptionally buoyant, they bounce up to the surface like corks after dives. 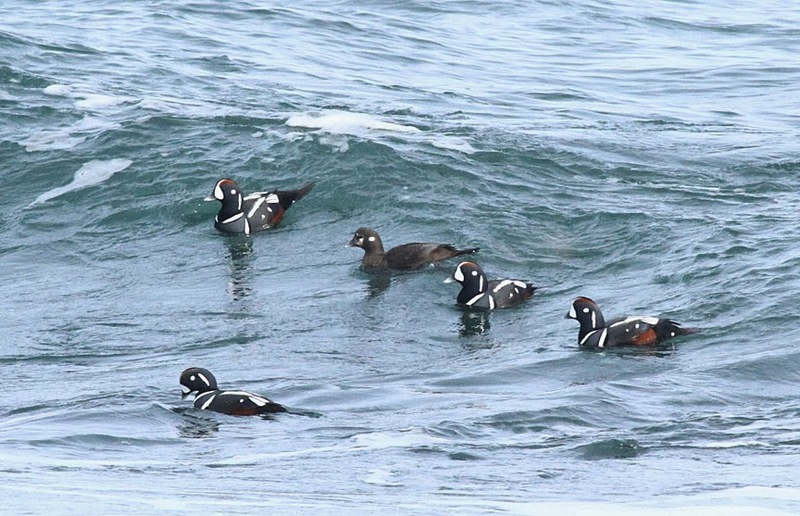 Harlequin ducks riding the waves at Dyer Point. According to online sources, unlike other waterfowl, the Long-tailed Duck wears its "breeding" plumage only in the winter. It gets its "nonbreeding" or Basic Plumage in the spring and wears it for the breeding season. Gerry got a nice shot of the long tail feathers as the duck dove. 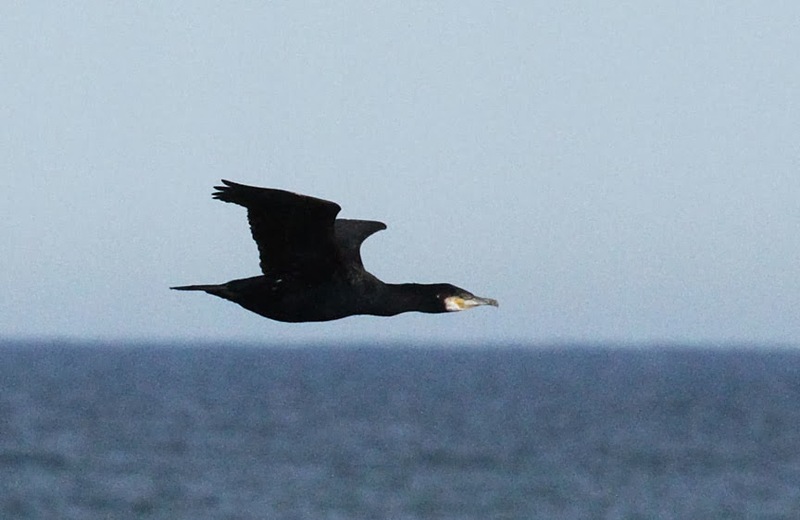 While Ron and I were scoping the waters, Gerry got a shot of this Great Cormorant flying by. 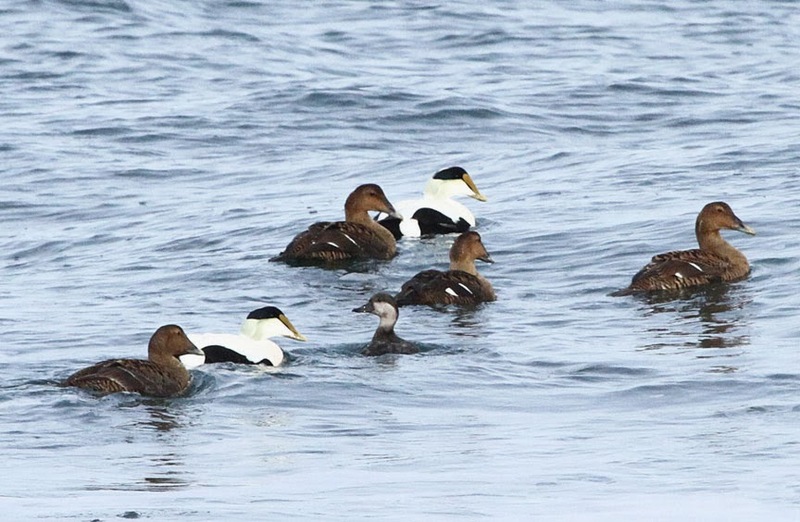 One female Black Scoter swimming among the Common Eiders. 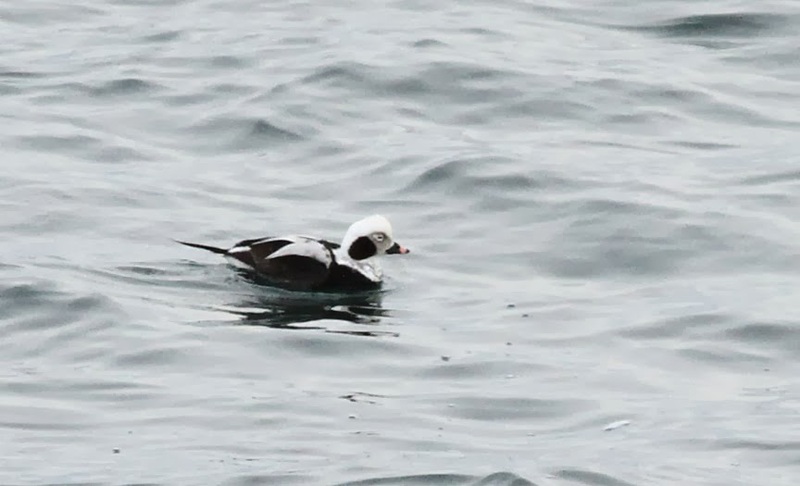 We had all 3 species of scoter: black, white-winged and surf, along with black guillemots, horned grebes, red-breasted mergansers and common goldeneyes. Part 2 of our bird sightings tomorrow!! LOVE these! Many thanks for sharing!! Hi Gerry! We saw a Towee is Seabrook when we were living there a few years ago! They are Pretty! Was surprised to see one! Thank You for sharing Gerry!